Join our equestrian team on Saturday, April 21 from 9 a.m. to 5 p.m. for a full day of fun with the DuBois Center herd! 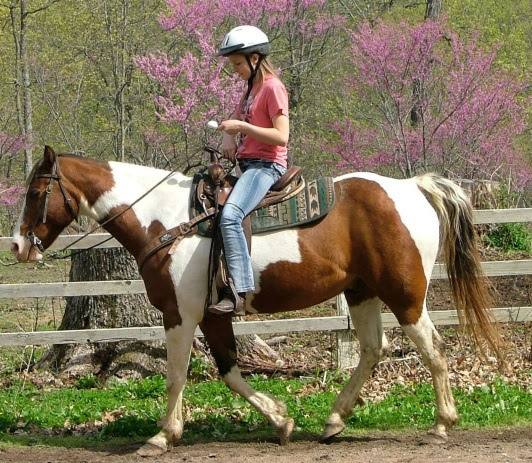 Designed for both beginner and experienced riders, this is a horse-intensive day of grooming, tacking, riding, instruction and other horse-related activities. Beginners will be introduced to basic skills, while experienced riders work on more advanced options. The cost for this event is $60 with lunch included. Register by March 31 and save $5. Final deadline is April 7 – if space is still available. Click here for a flyer and reservation form. Online registration begins February 15. Questions? Contact DuBois Center at dcinfo@duboiscenter.org or 618-787-2202.